I know I am already late to deliver this one, but then again I am still so excited to share this new music video from The Script. It is because it features one of my favorite songs from the band's No Sound Without Silence album. The wordplay in the lyrics, which is usual for this band, has bought me from start to end. Add a very heart-wrenching theme and topic and I am all hands down. And of course don;t forget the rhythm, the tune and the usual serving of "strange" musicality. "Strange" sounds -- the very reason why I loved this band even before they became mainstream (having a relative in Ireland helps, even I am from the Philippines) -- because returned to their homeland genre, which is very far away from the generic pop music. Watch the new music video of No Good in Goodbye by The Script. We all know that No Good in Goodbye is the first track in the No Sound Without Silence album -- the band's fourth -- by The Script. 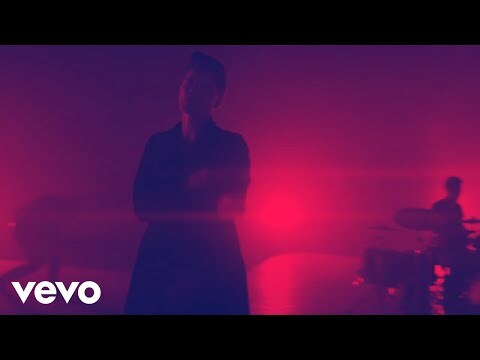 This 5-minute auditory bliss was written by Danny O'Donoghue (lead singer), Mark Sheehan (vocalist and guitarist), James Barry (one of the album's producer). The band returns to their usual montage of staged "gig" moments with all the band members and gears present. It is interspersed by radiant light works or Cosmo effects, which we first gleaned on the No Sound Without Silence album cover, and some human add-ons and the singer's love-interest, that help represent each of us. What do you think will come next from The Script?